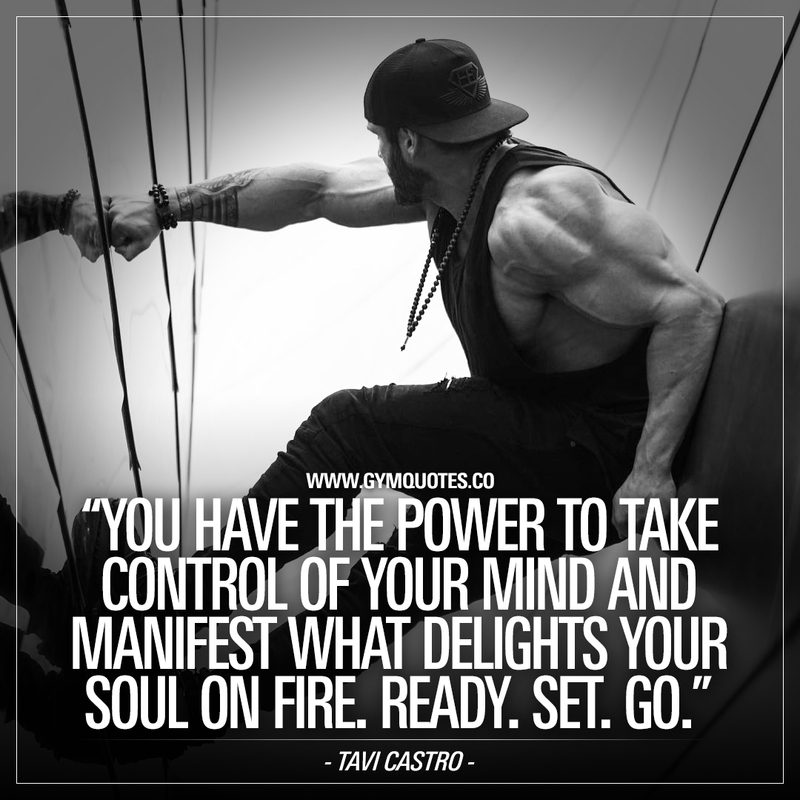 Tavi Castro quotes: You have the power to take control of your mind. You have the power to take control of your mind and manifest what delights your soul on fire. Ready. Set. Go. – Tavi Castro. If you can take control of your mind – you will conquer your body and you will be able to take on the world and conquer it. But it all starts in your mind. Believe in yourself and go beast mode until you get what you want in life! Thanks to the always inspiring Tavi Castro for another awesome quote!